Distinguished CEO brings extensive fintech and business services expertise to Bento, as company prepares for next stage of growth. Chicago, Oct. 9 2018—Bento for Business, a leading provider of financial management solutions for small and midsize businesses, today announced that Flint Lane has been appointed to the company’s Board of Directors. The appointment reflects Bento’s expansion and continued growth across commercial payments, treasury management and business banking services. As founder and CEO of New Jersey-based Billtrust, the leader in accounts receivable automation software, Lane has led the company’s impressive growth providing invoice-to-cash services to companies throughout North America. Billtrust now has a workforce of more than 500 employees, with seven acquisitions, and over $100M in capital raised. Lane has been named as one of the 25 Most Influential Financial Operations Professionals by the Institute of Financial Operations (IFO) and recognized as the Ernst & Young Entrepreneur Of The Year®. He was awarded the 2017 Technology CEO of the Year by the Greater Philadelphia Alliance for Capital and Technologies. “Flint is a financial technology pioneer who has an incredible track record of building and scaling companies. His strategic and operational acumen and his passion for innovative technology will be invaluable to Bento as we pursue our next phase of growth,” said Farhan Ahmad, CEO and co-founder of Bento for Business. “I’m thrilled to join Bento as a board member. Bento is uniquely positioned to deliver modern, end-to-end banking solutions that help small and mid-sized businesses control spending and manage their cash. With their strong management team and customer-centric focus, Bento is already a category leader. I look forward to supporting Farhan and contributing to the company’s future growth trajectory,” said Lane. Prior to founding Billtrust, Lane was founder, President and Chairman of Paytrust, the leading electronic bill presentation and payment (EBPP) company with over 100,000 customers nationwide. Lane currently serves on the board of the private company Livegenic and has been a volunteer big brother for Big Brothers Big Sisters of Mercer County for the last 12 years. He received his Bachelor of Science in Computer Science from Rensselaer Polytechnic Institute. The appointment follows Bento’s June announcement of a $9.0 growth equity investment led by Edison Partners, which also invested in Billtrust. Existing investor Comcast Ventures and new investor MissionOG participated in the round. To learn more about Bento, please visit www.bentoforbusiness.com. Bento is setting the new standard for a modern business financial experience. 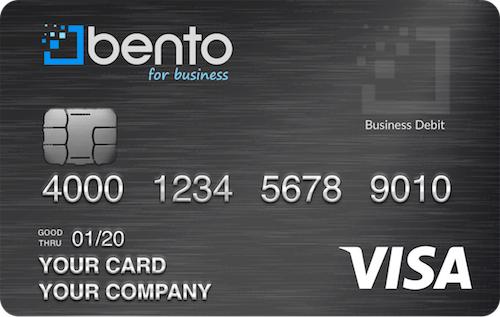 With its card-based digital spend management product, Bento enables small and midsize businesses to proactively control employee spending at the point of sale, prior to purchase. With its open API, virtual and physical cards, and white label capabilities, the Bento platform also helps co-brand partners, banks, processors and payment networks to provide a modular, fully customized treasury management and business banking suite for their customers. Based in Chicago and San Francisco, Bento is led by veteran financial service executives and backed by leading financial technology investors. For more information, visit bentoforbusiness.com, Twitter and LinkedIn.